PlayBook to BlackBerry connection hacked | BlackBerry Blast! 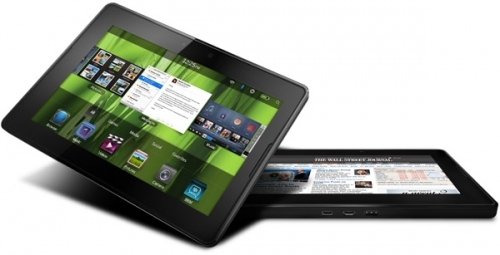 Is the connection between the BlackBerry handset and the BlackBerry PlayBook secure? According to t new report, it is not. Security researchers at the Intrepidus Group have discovered a way to hack the connection between the two devices. [The weakness] enables an attacker to listen in on the connection between the tablet and a BlackBerry handset. That connection, which is done via Bluetooth in the company�s Bridge application, is designed to allow users to access their corporate email, calendar and other data on the tablet. [The researchers were] able to locate and grab the authentication token sent between the two devices during Bridge connections and, as an unprivileged user, connect to the PlayBook and access the user�s email and other sensitive information. The key to their finding�is the fact that the PlayBook�s OS puts the authentication token for the Bridge sessions in a spot that is readable by anyone who knows how to find it. �While the bridge is active, the token is in a place that is essentially world readable. The .all file being in a place that is world readable is the thing that causes the problem with the Bridge sessions,� Lanier said. It's an interesting exercise for sure, but RIM will likely keep plugging security holes making this issue moot.